An interaction between two woven pieces. Image 1 of 2. An interaction between two woven pieces. Image 2 of28. An interaction between two woven pieces. Image 1 of 8. An interaction between two woven pieces. Image 2 of 8. An interaction between two woven pieces. Image 3 of 8. An interaction between two woven pieces. Image 4 of 8. 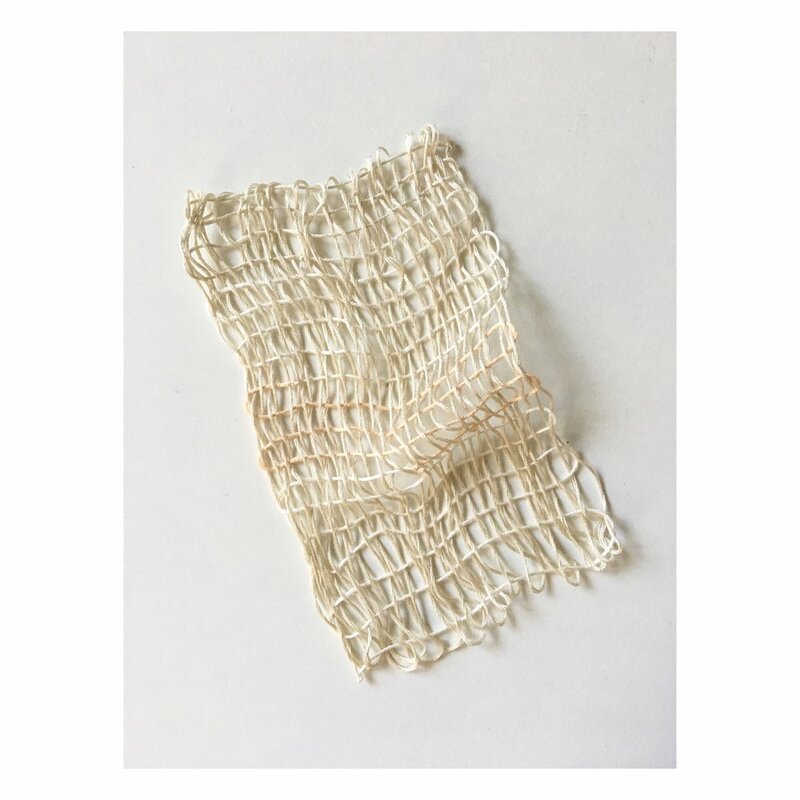 An interaction between two woven pieces. Image 5 of 8. An interaction between two woven pieces. Image 7 of 8. An interaction between two woven pieces. Image 8 of 8. An interaction between two woven pieces. Image 1 of 2. Embroidery thread dyed with turmeric, staged on marble. Image 2 of 2. Embroidery thread dyed with turmeric. Embroidery floss and found material, 2018. Image 1 of 4. Embroidery thread, 2017. Image 2 of 4. Embroidery thread, 2017. Image 3 of 4. Embroidery thread, 2017. Image 4 of 4. Embroidery thread, 2017. Image 1 of 6. Embroidery thread, 2017. Image 2 of 6. Embroidery thread, 2017. Image 3 of 6. Embroidery thread, 2017. Image 4 of 6. Embroidery thread, 2017. Image 5 of 6. Embroidery thread, 2017. Image 1 of 3. Embroidery thread, 2017. Image 2 of 3. Embroidery thread, 2017. Image 3 of 3. Embroidery thread, 2017.